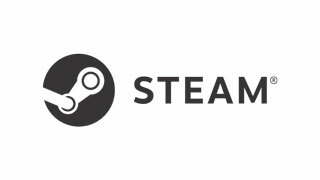 The yearly Steam Summer Sale is just over a month away if these leaked dates are accurate. There are only a few sure things in this world, and one of them seems to be that Steam will have a Summer Sale. It typically runs from late June through the fourth of July or so, and if some dates leaked on Reddit are accurate, that will be the case again in 2017. Reddit user deliteplays posted what purports to be a screenshot of the Summer Sale dates as posted in the Steamworks Developer group. In that screenshot, the sale dates are listed as June 22, 2017 at 12:50 PM ET through July 5, 2017 at 1:05 PM ET. In the comments under that post, another user, Jelman21 confirms the date, posting a screenshot of his own. That means that unless these two got together to fake the screenshots, there's a good chance that these dates are correct. Of course, there could be adjustments or changes to the dates between now and then, or Valve could move them just to spite the folks who leaked them. We won't know for sure until the sale is officially announced sometime next month. Regardless, it would be a good idea to prepare your wallets.